This workshop is geared toward professionals working with children one-on-one in a counseling or therapy capacity in a variety of settings. Counselors and therapists who work in schools, private practice, or social service and mental health organizations are all welcome. When children are referred for treatment, there is often either a crisis or a presenting problem requiring immediate attention. By definition, therefore, counseling and psychotherapy for children is a mode of clinical intervention. Where, then, is the place for preventative skill-building in this model? Our workshop will explore this question and provide guidelines about how prevention and intervention strategies in the counseling-therapy room can work in tandem to build children’s social and emotional competencies. Participants will learn a variety of social-emotional skill building tools they can explore with their clients, as well as interventions that parents can implement at home with their child to continue the social-emotional skill learning that the child is experiencing in therapy. Attention will also be given to how parents can help children use these new skills in social environments that they find challenging, such as in school, on the playground, and extracurricular activities. Zina Rutkin, PhD, is the Director of Ackerman’s Social-Emotional Learning Project and Competent Kids, Caring Communities. 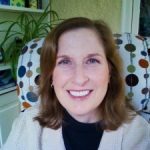 She holds a master’s degree in special education from Lesley College, a doctoral degree in clinical psychology from Case Western Reserve University, and a certificate in Family Studies from Minuchin Center for the Family. Dr. Rutkin has served as a consultant to a variety of mental health organizations, social service agencies, and school settings throughout the New York area, and also as an adjunct professor at NYU.